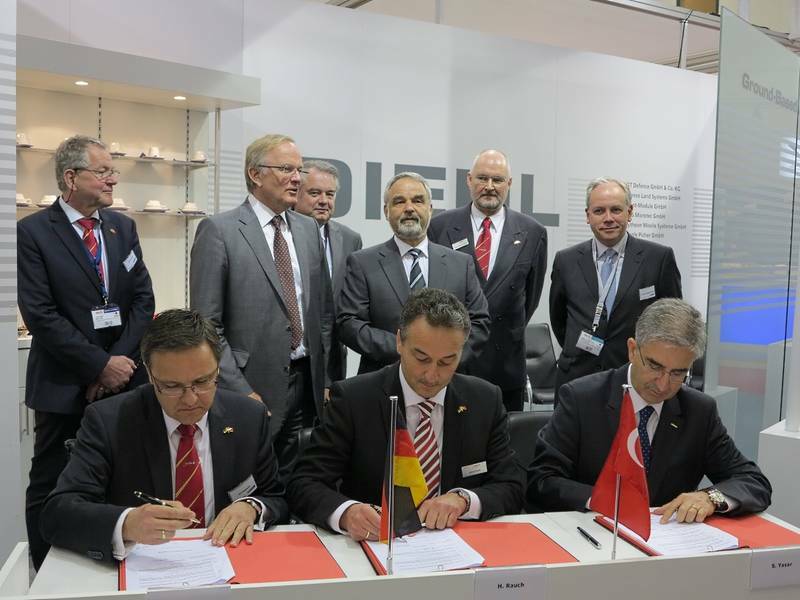 Roketsan, ThyssenKrupp Marine Systems and Diehl Defence have signed a cooperation agreement to jointly develop the submarine-launched Interactive Defence and Attack System for Submarines (IDAS) missile at the International Defence Industry Fair (IDEF) held in Istanbul. Under the terms of the agreement, Turkey’s Roketsan will be responsible for development, qualification and series production of the IDAS warhead, as well as support of control actuation system (CAS) testing. The Turkish company will also participate in system level design activities and conduct a work share in the CAS series production. The team will develop and deliver a multi-role missile capable of launching from submarine’s torpedo tube underwater through a launch container. In addition to providing new self-defence and asymmetric warfare capabilities for submerged submarines, the IDAS missile enables users to engage threats from the air, naval vessels, and coastal targets. The fibre-optic data link enables operators in the submarine to control the missile throughout its flight, while providing opportunity of target change, correction of the target impact point or mission abort. "Roketsan will be responsible for development, qualification and series production of the IDAS warhead." Researchers have already conducted test-firings of the IDAS missile from an underwater test facility in northern Germany, as well as from a German Navy’s class 212A submarine in the Baltic Sea. With the objective of developing a verified product, the IDAS Consortium is currently performing an initial development programme (IDP). The missile will demonstrate its capabilities from a submerged submarine during test-firings scheduled in 2014, while Norwegian company Nammo is expected to join as a partner, which will be responsible for developing the missile’s rocket motor. Image: Company officials during signing joint IDAS missile development agreement. Photo: courtesy of Diehl Stiftung & Co KG.